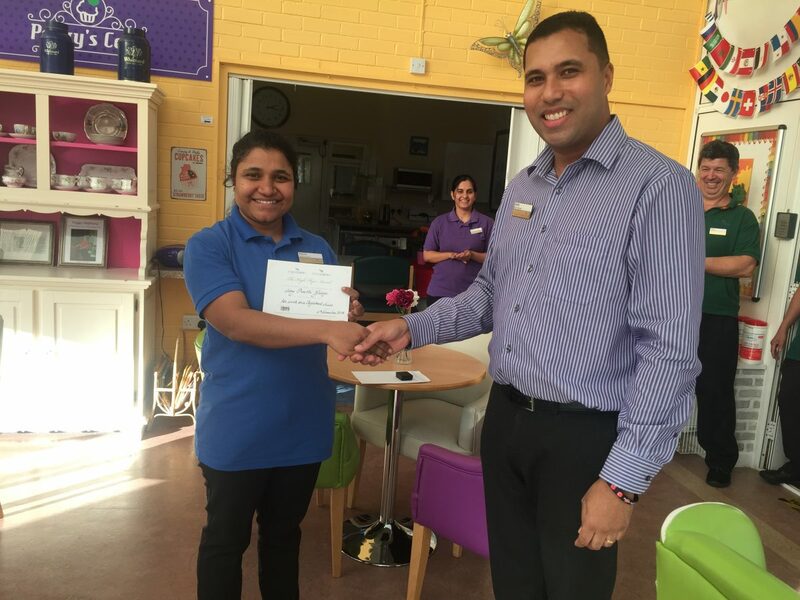 Registered Nurse Mary Preethi George, from Birchy Hill Care Home, was awarded the Highflyer Wing for October 2018. She is always ready to help, she is a very diligent Nurse and shows good attention to detail, also not forgetting, she is very supportive to the Residents, Staff and the Company. With their yearly appeal the BBC has now raised over £1bn since it began the annual fundraiser in 1980. It comes after a record-breaking £50.6m which was donated during Friday’s programme. The total raised surpassed 2017’s record of £50.1m. 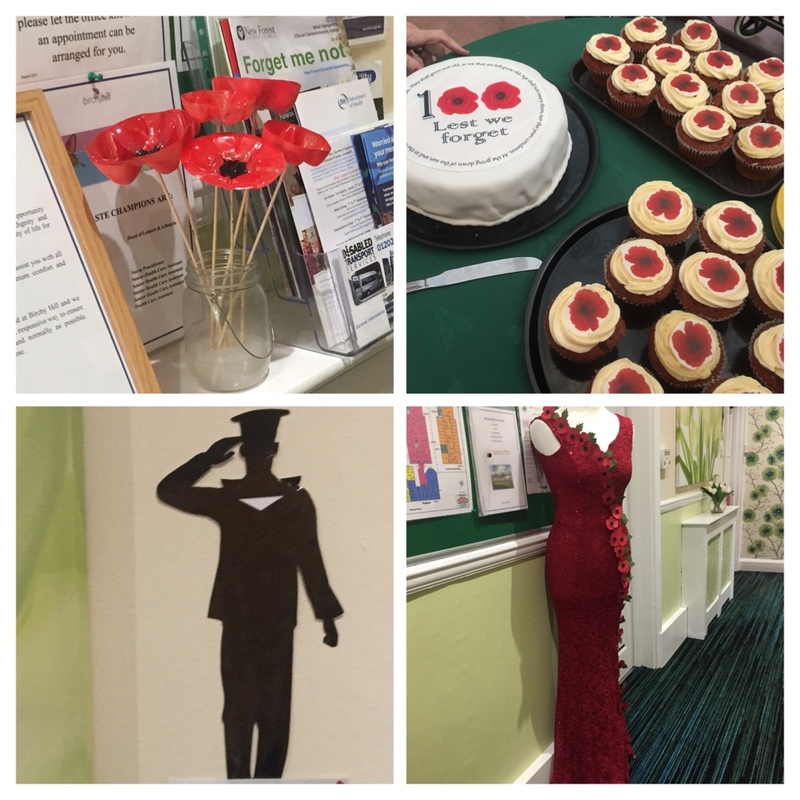 We at Birchy Hill were so very much inspired by the idea to pay our own little tribute that we organised a Charity Party. Retro Rita entertained the Residents with her songs from the 60s. Children’s toys and clothes were sold, cupcakes and a Pudsey Bear Cake offered to raise some money to donate to Children in Need. A very big Thank You to all who helped with their donation! 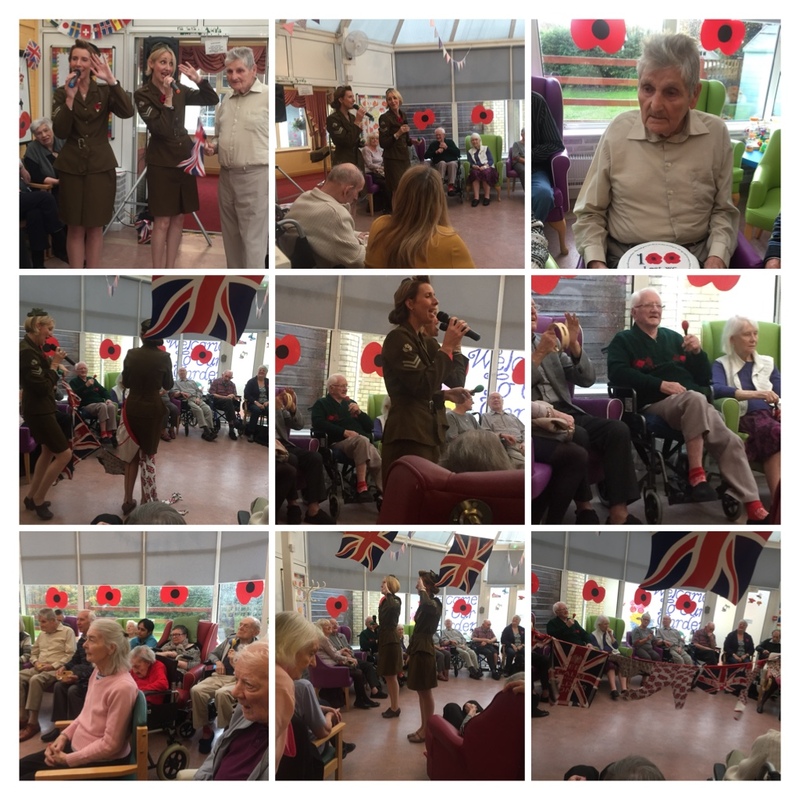 On Saturday, the Land Girls entertained us with their wonderful show. They arrived in military uniforms and finished the entertainment with their flag waving ‘Spirit of the Blitz’ finale. It was a great success with our Residents and their friends and families alike. The ‘Girls’ were lovely to look at and their singing was overwhelming. Our Gentlemen were very excited until one did not want to sit still anymore and went up to sing with them. After the show we had a little tea party with yummy cake and cupcakes form our kitchen. Everything was decorated accordingly.